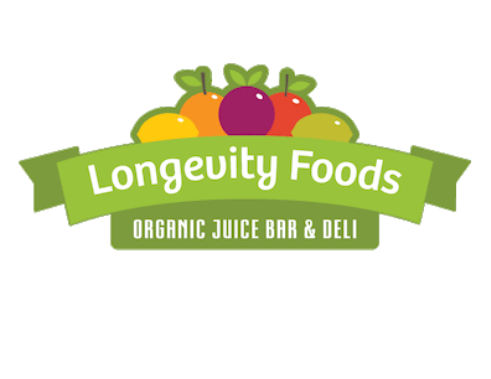 Welcome to Longevity Foods. Thank you for allowing us to share our passion for preparing good, nutritious and delicious food with you. Our aim is to bring fresh, organic, nutritionally balanced and delicious plant-based foods to our local community. We collaborate with local farms such as Okanogan and Sweet Harvest to serve fresh, seasonal food at the height of its nutrition and flavor at affordable prices. Juices are made fresh for immediate consumption. Our smoothies and food are made with natural ingredients. We use no artificial flavorings, colorings or flavor enhancers. All food is made from scratch in our kitchen. Our handmade products are big on flavor and enjoyed by anyone appreciating delicious food. Nuts and seeds are soaked, sprouted and dehydrated at low temperatures. The soaking process reduces the fat content while increasing the protein content of the nuts and seeds, making them lower in calories and easier to digest. The low temperatures help retain enzymes and nutrition. The minimal processing and use of natural sugars enhance the flavors of the fresh ingredients making plant-based raw foods an excellent choice for optimum health and well-being. To view our Menu click here. We offer 4-day cleanses in the winter and summer, and 10-day cleanses in the spring and fall. Click here for our upcoming Cleanse. Would you like to learn how to prepare delicious plant-based food? If so, click here for our upcoming Food Preparation Class.